This month was to have seen the start of a major three month exhibition called simply ‘Syria’ running from Sept-Dec 2013 at the Royal Academy in London’s Piccadilly, showcasing its art treasures to the world. Preparations were well under way when the Syrian uprising began in March 2011. Instead, over the last three months criminal looting, illicit digs and theft of Syria’s art treasures have reached colossal proportions. 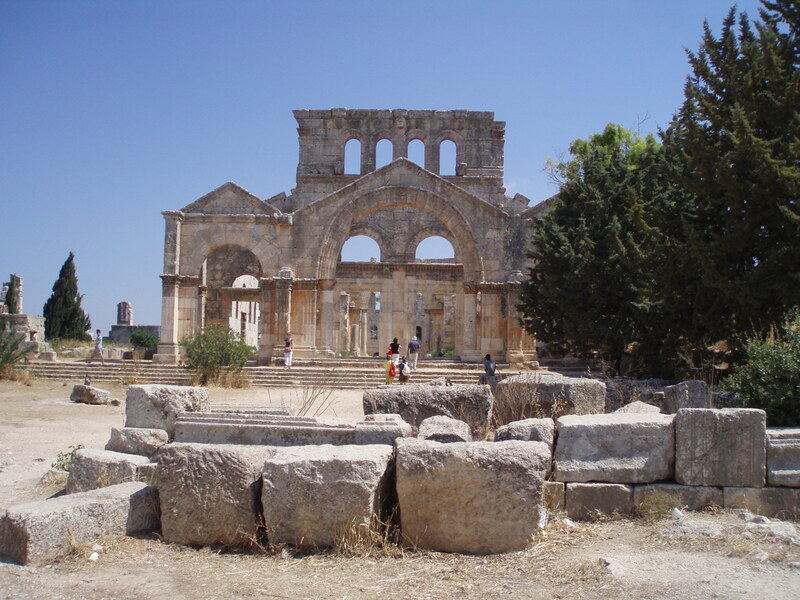 Armed gangs, taking advantage of the absence of security at archaeological sites, have carried out systematic violent excavations, sometimes using bulldozers, to steal priceless antiquities. Sites damaged by the fighting can often be repaired. Stolen items are lost forever. This criminality is a by-product of the fighting, and it is escalating. The areas particularly affected are near the borders where the antiquities can be quickly and easily transported out of the country. In the east near the Iraqi border ancient sites like Mari and Doura Europos have been targeted, in the west sites like Apamea and the Forgotten/Dead Cities, and in the south near Dara’a hundreds of hired men and armed gangs have been digging illegally inside the Al-Omari Mosque and in the Wadi Yarmouk and Tell Al-Ash’ari archaeological sites. Palmyra has also suffered illegal looting. In an attempt to counter this alarming escalation, Syria’s Directorate General of Antiquities and Museums has been trying to keep track so it can alert Interpol to intercept the antiquities being smuggled and has launched a new website in English and Arabic http://www.dgam.gov.sy which is updated daily cataloging the damage. Their experts have been trying, against the odds, to stem the outward tide of treasures and have been turning up at work every morning to do their best in the face of this criminality. 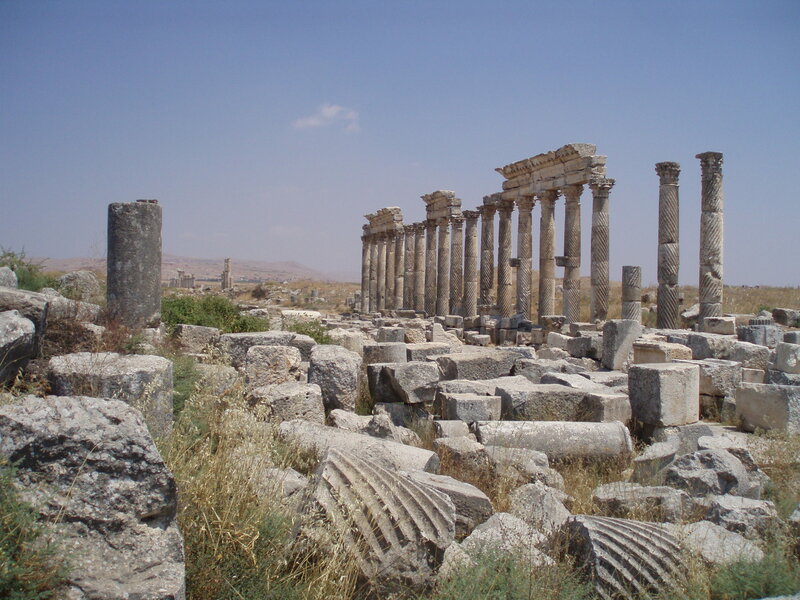 War damage to Syria’s cultural heritage has already been considerable. But damage from pure criminal theft is ten times worse and needs to be stopped. The full-scale looting of an entire country’s heritage is at stake and only the restoration of law and order can put a stop to it. Some will say it is wrong to talk of physical damage to buildings at a time when such catastrophic loss of life is taking place. Of course the loss of human life matters more than anything, but this matters too, because when the war is finally over, Syria will need its rich cultural heritage to bring much needed employment to help rebuild the country. Its loss damages every Syrian. Very good to hear about this. Thanks for posting it. Like you I am sure the overwhelming majority of Syrians just want their country back and want to protect its rich and diverse cultural heritage.